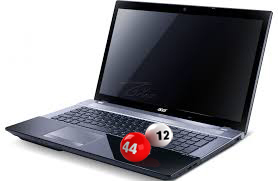 For a number of years now, whichbingo.co.uk and other bingo portals have offered their own version of awards to bingo sites - in order to decide which operator has been the best in offering online bingo, in any given year. This has created a fierce competition between portals, to provide an awards ceremony which is to be perceived as the most important. The competition has been tight between sites; however, WhichBingo might be about to shift the balance in their favour. It has been announced this year by WhichBingo, that they will team up with Bullet Business to make their Bingo Awards part of the Online Bingo Summit in May. The awards will happen at the beginning of the summit, and should be a great way to set the tone for the event. The venue of the ceremony is still to be decided, but with London being the location, there will not be any shortage of great venues to host such an event. This partnership will certainly greatly boost Which Bingo UK's presence, and cement its status as providing the most prestigious awards in bingo. The only slight disadvantage they may find, is that the Bingo Summit is in May - which is still quite early on in the year to decide a winner. Bingo Port for example could theoretically surmount a comeback with a larger awards ceremony later on in the year, if that is possible. On the other hand, Since the Summit is quite clearly the biggest yearly event in online bingo; it would be difficult for a competing affiliate site to find the resources, to compete with a bingo awards tied in with the summit. It will clearly receive huge amounts of coverage naturally without a large extra effort required. 2014 conference, what's on the agenda? If we take a look at Bullet Business’s conference agenda this year, there is a lot going on. Phil Fraser the founder of WhichBingo, will moderate one of the main talks of the conference 'The Future of Online Bingo'. The Panellists will be Dave Mills the Bingo Director at GTECH and Michael Brady the CEO Bede Gaming. As there has been for the last few years now, there have been a lot of discussions on where mobile gaming will take the industry in the future. Until now, the various discussion that have been had with regards to mobile bingo, were yet to be verified as being true. The fact is that contrary to popular belief, the majority of people still preferred to play on their desktops rather than their mobiles. However, there are signs that with the arrival of tablets and the ever larger proliferation of smartphones, will make 2014 the year that bucks the trend. Certainly Gaming Realms's quarterly reports were something of an eye opener, with £900,000 of revenue in Q3 of 2013 and almost £1.5m in Q4. Over half of this income has been generated off mobile traffic exclusively. If you are not aware, Gaming Realms are the people behind Bingo Godz and Pocket Fruity. On the former with Bingo Godz, there was a huge push to make it a popular mobile platform to play on. Regardless of the problems they had to begin with (there was trouble with the game functionality), it does not seem to have affected their profit margin. It goes to show that in spite of issues with their mobile gaming product, people were still willing to play. It demonstrates the massive potential that mobile has. The company or companies that grab this opportunity and make a seamless mobile product are sure to reap the rewards. We will be interested to hear what Gaming Realms have to say at the summit, it will undoubtedly prick up a few years to hear about their mobile strategy.